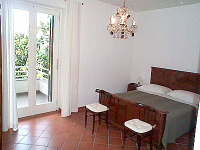 Panoramic Villa, immersed in the scents and colours of lemon and orange groves, just a few minutes from the city centre. 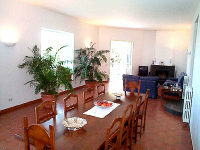 The villa, with its own entrance and private parking facilities, is on different levels, three reserved for guests only. On the fantastic terrace overlooking the gulf, it is served a delicious buffet breakfast with typical home-made products. 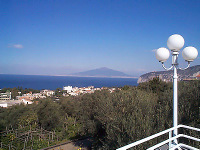 The Villa is in ideal location to reach, with daily excursions, by car, bus, hydrofoil and train all the tourist sights that are nearby like: Naples, Pompei and Ercolano, Positano, the islands of Capri, Ischia and Procida.Panoramic Villa, immersed in the scents and colours of lemon and orange groves, just a few minutes from the city centre. The villa, with its own entrance and private parking facilities, is on different levels, three reserved for guests only. On the fantastic terrace overlooking the gulf, it is served a delicious buffet breakfast with typical home-made products. The Villa is in ideal location to reach, with daily excursions, by car, bus, hydrofoil and train all the tourist sights that are nearby like: Naples, Pompei and Ercolano, Positano, the islands of Capri, Ischia and Procida.